05-14-14 HIVMHTF Dr Moe CROI from Susan Forrest on Vimeo. Dr. Moe’s presentation at today’s HIV MHTF meeting. Dr. Moe was scheduled to present at our March meeting, however her talk has been postponed until the May meeting. 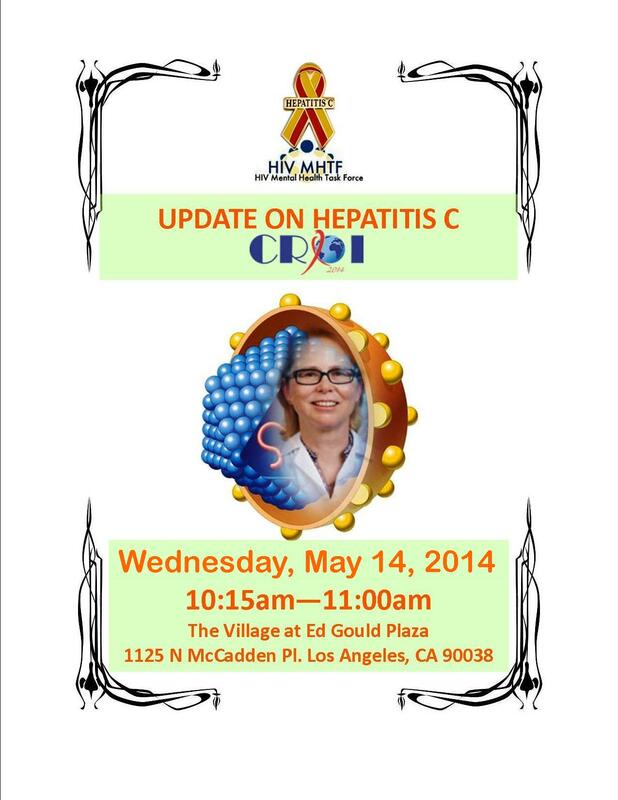 She will be presenting an update from CROI, as well as an Hepatitis C update.